I purchased a desk recently, but I haven't decorated it yet. I know the purpose of a desk is to be functional, but in its current state it's just too bland and doesn't offer me any inspiration. I want to keep this area simple and not go overboard with the decorations. So, I narrowed it down to three mandatories to make this desk functional, yet less of an eyesore: A lamp, rug and desk chair. As you can see, pink is my color of choice. 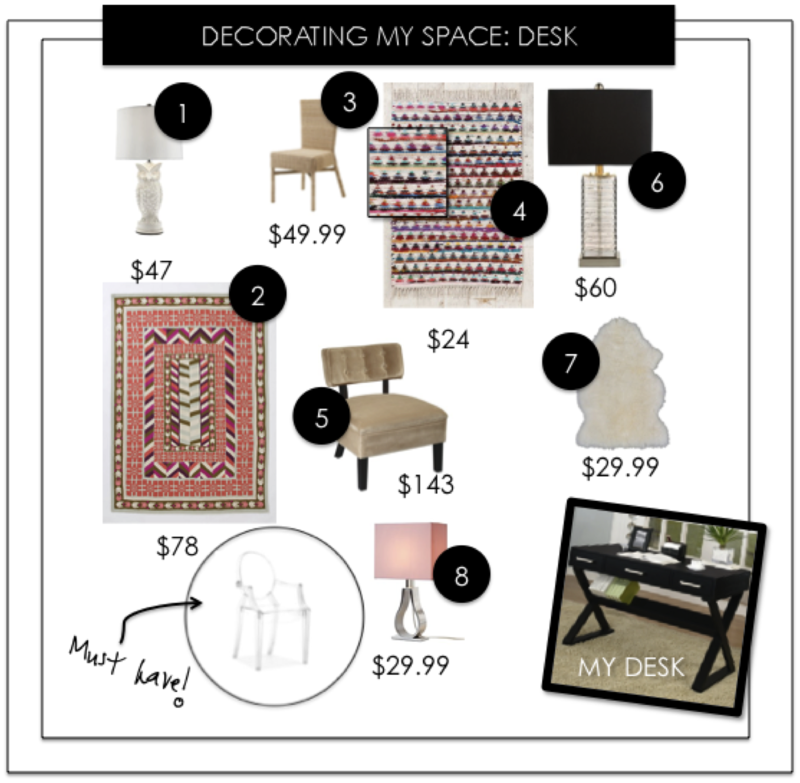 My faves are #6, #4, and my "must have" acrylic chair. What are your thoughts?